The Development and Public Affairs Department understands the importance of community service. 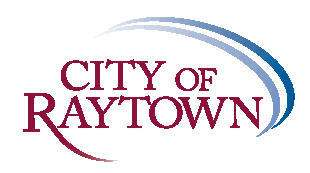 Being a part of Raytown organizations helps us understand our community better. Brenda Gustafson, Public Information Officer and John Benson, Director of Development and Public Affairs were sworn in as President and President-Elect of Raytown Three Trails Kiwanis Club. Both Brenda and John were also added to the Shepherd’s Center Board of Directors. Both clubs contribute to the community in many ways. It is a privilege to serve them. Brenda Gustafson, Public Information Officer, has been named Missouri Chair of E-RAPIO (a group of regional PIOs who respond to regional emergency situations) and will have a seat at the Regional Homeland Security Committee. She and Scott Peterson, Permit Technician also have been trained on the regional WebEOC (Emergency Operation Center). This Website helps connect communities during emergency situations. Planning & Zoning Commission met November 13, 2014 and recommended approval for auto repair within a new tire and wheel store called Rent and Roll at 8910 E. 350 Highway. They also continued an application for a conditional use permit for auto sales at Rick’s Auto Repair at 8216 Westridge Road. Raytown EMS will be hosting a Community Center Blood Drive at the EMS station on December 15th from 3:00 p.m. to 6:00 p.m. You may sign up for an appointment at esavealifenow.org and use the sponsor code raytownems. Please call Kim at 737-6030 if you have questions. Thank you for saving a life! November 17 – Municipal Court – 6:00 p.m.
November 18 – Board of Aldermen – 7:00 p.m.
November 19 – Municipal Court – 8:00 a.m. & 6:00 p.m.